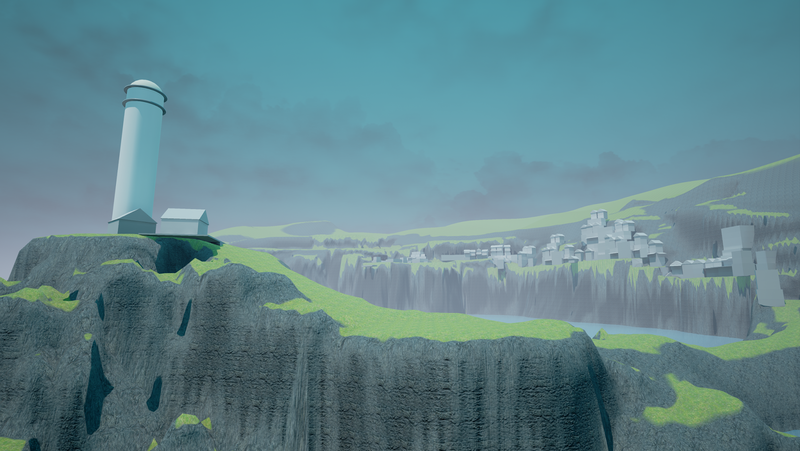 Now we are getting onto a blockout of the level, using the landscape tool and basic primitive shape, the idea with the level is to make the goal known from the start, driving forward the narrative and gameplay. The goal is the lighthouse so the whole bay curves around to provide a view point to see where you are going. 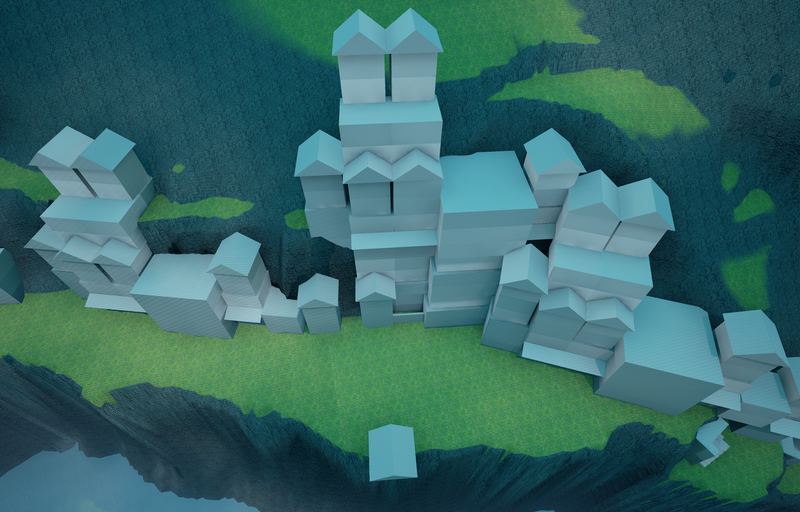 I used some basic modular building blocks to create the town, but at this current stage everything was too big. We received some feedback on the level and decided to cut down the size, this wasn't much effort to do as UE4 provides a tool for copy and pasting sections of the landscape, allowing me to tweak the size and continue. 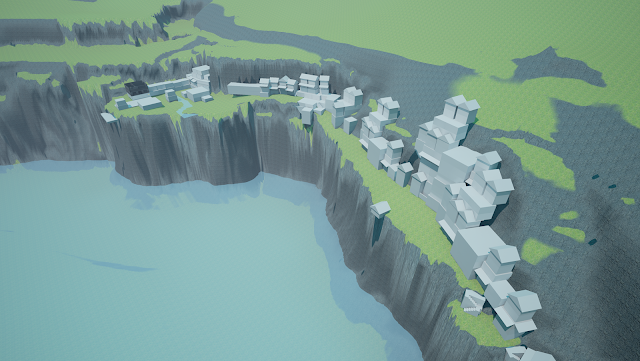 In this current iteration of the blockout there are less buildings, with most of the town being in the first section of the level. We agreed on having a soft transition through to towards the end of the level. 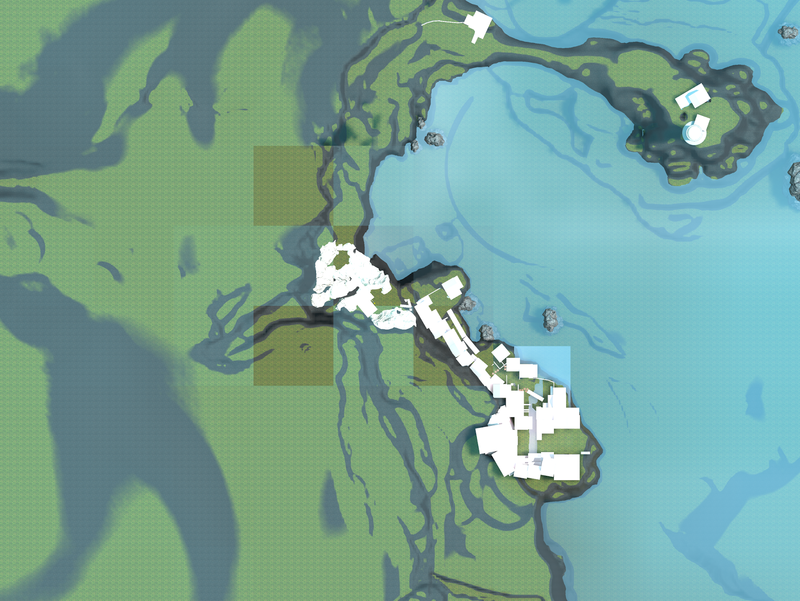 The plan is to start off at the town and work through a waterfall with a mill, a garden/park area then leading through to the lighthouse. Each area will contain it's own short puzzles and changes in pace. A cloud cover lighting function to help with the overcast atmosphere of the level. A pipe follow blueprint for the water guy, a modification of the rope burning blueprint except redesigned to allow passing through multiple points. Next week I will continue refinement of the level, making changes based on the new level designs I'm getting from Haz!